Published on July 27, 2011 by cara.b.b. i really thought that when i decided to be a stay at home mama that i would be able to maintain a clean house, put a great meal on the table every night, and have some free time. i misjudged. life with a kiddo is busy – everything takes longer than you think, and i find myself leaving little piles of papers or toys or shoes that i’ll come back to later – and later turns into a few days. i like to think i’m a pretty organized person, a big time list-maker who also likes to check things off – sometimes i write down something i’ve already done just so i can put a nice little check beside it. the mister might say that i have a few ‘monica’ tendencies when i go on a cleaning rampage. so why can’t i keep this house consistently under control!?! i’ve come to the realization that i just feel a bit overwhelmed. with more kids in the future (no, not right now), i’ve decided i need to create a system for myself. so, i’m going to institute a ‘chore of the day’ to (hopefully) help me feel less overwhelmed by it all. i’ll assign myself a section of the house, or a certain task for each day, meaning we should consistently have a pretty clean abode – i can use beckett’s nap time for this. i’m also, at the end of the day, going to do a 10 minute pick-up. my mom put this into action when we were kids, and i hope to do it with beckett too. you can do more than you think in 10 minutes, especially with help – “many hands make short work”, as my mom would say. 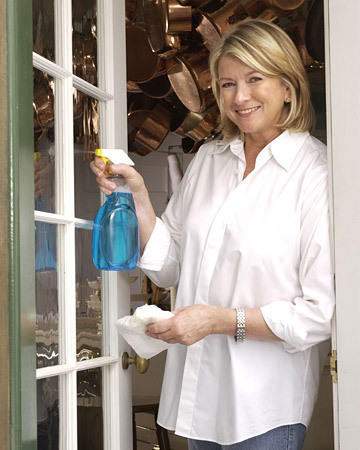 here are a few helpful tools: martha’s six things to do every day and weekly checklist. 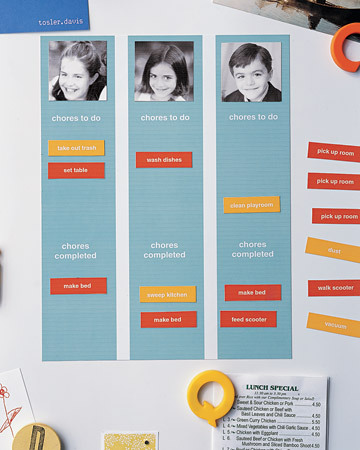 another example of a chore lis for adults and a customizable chore chart for kids. i think this will put me on the road to creating a little more order around here and not feeling consumed by it. do you have any secrets to keeping your house a well-oiled machine? do share! Good luck! Good plan! I do the list thing and make sure I can at least mark off a few things each day (i.e. wake up, etc.). I’m afraid I never solved the clean house thing, but others have with your something each day plan. In the end though, I’d let dust bunnies pile up rather than miss playtime with Bman. Sounds like you are a wonderful mother/wife/housekeeper, but you had a great model! Love you! Thanks for sharing, and love all pictures of Beckett! aunt debbie – i’m glad i’m not the only one adding things to the list i’ve already done! hey alicia – good to hear that you’ve got a system worked out for your house, and i agree that the clean-up helps the sanity! Hey, Cara! How’s your system been working for you? I have a similar routine, glad to know I’m not the only one my age who does :) Something I’ve found that helps is right before I start that day’s chore, I put a load of laundry in and tell myself, “when this load is finished (washed and dried) I will be done with my “daily housework”. That way I work a little faster and know it will only take a little over an hour. My problem lies in doing the daily chore, if only the discipline came with the system! hi stephanie! the new ‘system’ is working pretty well. it has definitely made me feel less overwhelmed, since i used to feel like i needed to everything every day. some days (or weeks!) are better than others, of course. i love the laundry idea! i’ll have to remember that one and work it in. thanks for your thoughts!